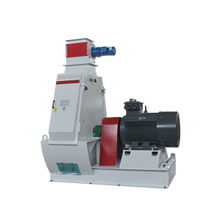 1 Crushingchamber use real water drop type, the unique way into the wind,to avoid thephenomenon of circulation during milling, grinding chamber set at the bottom Utype hitting groove, significantly increase production,fully open door operation,flexibilitypressure screening mechanism for easy maintenance and replace screen sheet. 2 Using highquality bearings, ensure service life; nylon rod type coupling direct drive,large displacement compensation,effectively avoid bearing heating phenomenon. 3 Rotor passes accurate dynamic balancing test, to ensure stable operation, lowernoise, better performance. 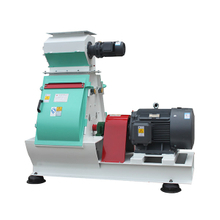 4 Feederinlet is on top of machine, to match with all type of feeder. 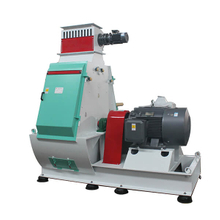 5 Can used for coarsely grinding, finely grinding. 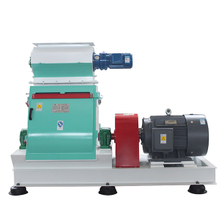 6 Used for poultry feed,aquatic feed,and also alcohol plant,citric acid factory etc.